The Drug Impairment Training for Educational Professionals (DITEP) program was developed by the International Association of Chiefs of Police (IACP) and the National Highway Traffic Safety Association (NHTSA) as a result of 2003 National Survey on Drug Use and Health (NSDUH). The survey was conducted by the Substance Abuse and Mental Health Services Administration (SAMHSA), and indicated that an estimated 19.5 million Americans (8.2% of the population aged 12 or older) had used an illicit drug during the previous month. Drug abuse, whether it involves controlled substances or the misuse of prescription drugs, has permeated almost every level of society to some degree. This training is intended to provide school administrators and nurses with a systematic approach to recognizing and evaluating individuals in the academic environment who are abusing and impaired by drugs, both legal and illegal, in order to provide early recognition and intervention. DITEP is derived from the national Drug Evaluation and Classification (DEC) Program, a successful law enforcement procedure used to detect drug and alcohol impaired drivers. The methods employed in this training are based on medical and scientific facts. The information is supported by research conducted in both laboratory and field studies. The DEC Program was validated in laboratory by studies conducted at the Johns Hopkins University, and in the field by the Southern California Research Institute. 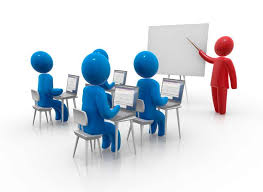 The training will enable attendees to determine first whether or not the student is impaired. If it is determined that there is impairment, they will be able to determine whether the impairment is due to a medical problem or is drug related. And finally, if the impairment is drug related, through proven diagnostic procedures, what category or categories of drugs that are likely causing the observed impairment. By providing training to school officials and health care professionals, DITEP enables schools to employ an aggressive evaluation and detection program that will cause drug usage in schools to decline. Consequently, not only will the disruption caused by those abusing drugs be decreased, but also the incidence of those individuals driving to and from schools while impaired by either alcohol or drugs will also be greatly reduced, making our communities and schools a safer place for all. There are two options for DITEP training, either an 8 or 16 hour course. ​The training is led by NYS Drug Recognition Experts (DRE) from your local region. 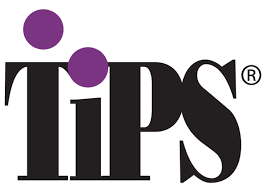 TIPS (Training for Intervention ProcedureS), the industry leader in responsible alcohol server and seller training, offers the best online certification training available as well as award winning classroom training provided by our certified TIPS Trainers. With over 4 million people certified in the past 30 years, TIPS has certified participants in all 50 states and over 40 different countries. ​For more than 25 years, TIPS has been a global leader in education and training in the responsible service, sale and consumption of alcohol. 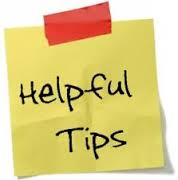 TIPS is a skills-based training program designed to prevent intoxication, underage drinking and drunk driving. By building on individuals' fundamental "people skills" TIPS provides the knowledge and confidence they need to recognize potential alcohol-related problems and how to effectively intervene to prevent alcohol-related tragedies. To become a certified TIPS participant, you will need to attend a 2-5 hour session (depending on the program) and complete a certification exam. You will be certified for three years, in most areas, and ready to balance outstanding customer service with responsible alcohol sales for your guests and customers. All of the sessions are conducted by certified TIPS trainers who, in addition to their extensive work experience in the industry, have completed a rigorous two-day, Train-the- Trainer workshop. 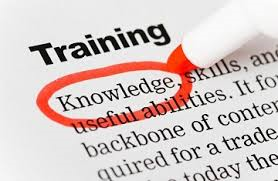 Steuben Prevention Coalition has a certified TIPS Trainer on staff and training courses are held annually.